These herbal packs are just what you need after a long day at work or play. Need a remedy for stress? Try one of our microwavable hot packs. Just heat for two minutes in the microwave and let the herbal heat pack do its magic. The warmth of the microwavable herb pack will relax tense muscles and soothe tired aching joints. 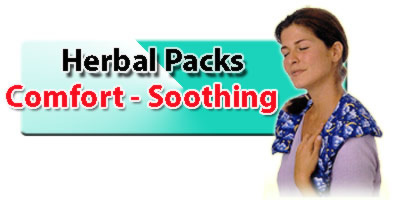 The aroma of the herbal pack will calm the mind and spirit. In the microwave: Heat the herbal heat pack on high setting for 1 to 2 minutes. This provides approximately 45 minutes of relief (small herbal packs require only 30 seconds). If the microwave does not have a turntable, flip herbal pack half way through heating. For best results, sprinkle with water before heating for moist heat therapy and to prolong the life of the herbs. In the oven: Heat oven to 350° and wrap Herbal Pack in tin foil. Place in oven and heat for approximately 15 minutes. Do not oven heat products with Velcro, as Velcro may melt. For cold Herb Pack: Place in plastic bag, and place in freezer for 1 to 2 hours. To Clean: Wipe with damp cloth, and lay flat to dry. Nature's Approach Herbal Packs are made with a blend of 12 different herbs that relax the mind and are a completely natural method of stress relief. The aromas from these herbs produce a healthy feeling, while they relax and rejuvenate your mind and body. 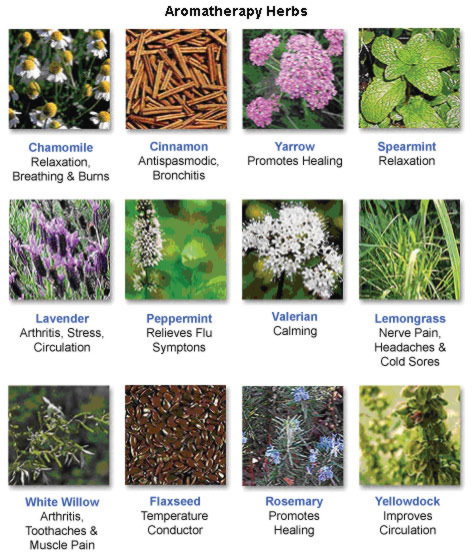 Many cultures use natural herbs for medicinal purposes, and use specific herbs to gain desired effects on the body. Nature's Way has created a unique blend of these herbs that creates an aroma that we know that you will enjoy. Note: The eye pillow contains only the herb of Lavender. The Heating elements in all packs are flax seeds and organic material. Store in sealed plastic bag when not in use. These items are hygiene products and are not returnable. Patterns may vary from those pictured.